FrogShop is where you can purchase frog booklets, field guides, CDs of frog calls, T-Shirts, coffee table books, posters and much more! Members receive discounted rates on some items! Download the Winter 2016 Order Form. 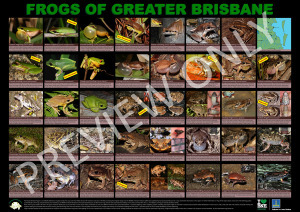 This must-have resource features 37 of Greater Brisbane’s local frog species, plus very good photos of cane toad identification features. This great resource is partly funded by the Brisbane City Council to whom we are most grateful. Please contact our Secretary, Jenny, using the details on Page 2 to place your order, or come and say g’day at our QFS display at upcoming events and receive your poster minus shipping! 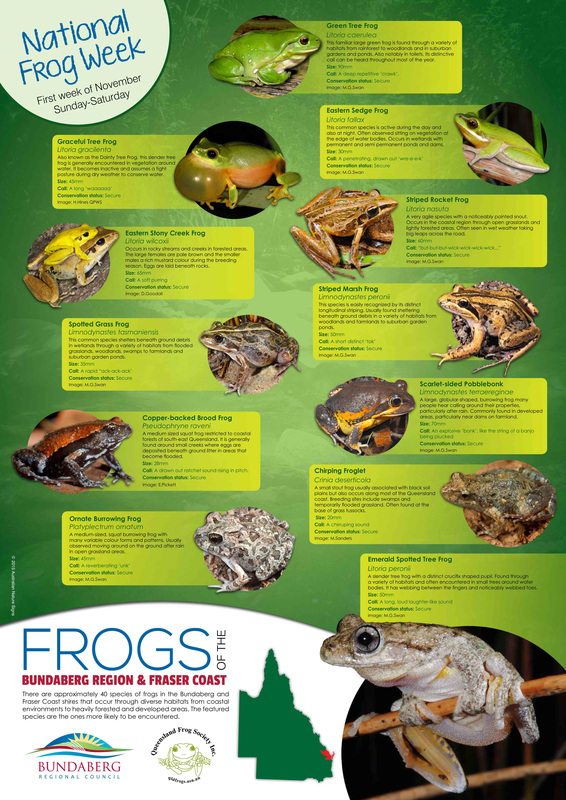 This great resource was funded by the Bundaberg Regional Council, Fraser Coast Regional Council, and the QLD Frog Society. 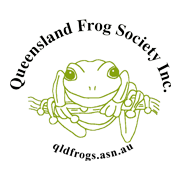 Please contact our Secretary, Jenny, using the details on the Contact Us page to place your order, or come and say g’day at a QFS display in the Bundaberg or Fraser Coast region to receive your poster free of postage!